The Chairman of the All Progressives Congress (APC) in Kwara State, Hon. Bashir Bolarinwa has assured Nigerians that the decision of the Senate President, Dr. Bukola Saraki to run for the highest office of the land will allow a peep into his tenure as the Governor of Kwara State between 2003 and 2011. 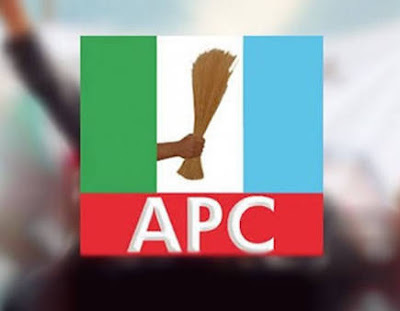 Bolarinwa in a statement issued in Ilorin on Friday said; in as much as it is a fundamental right of Dr. Bukola Saraki to run for that office, it is also an inalienable right of the people of the State he once governed to bring the past before him. "Dr. Saraki is a Nigerian, and one of his rights is to vote and be voted for. However, he had, had an opportunity in the past to be elected as the Chief Executive of Kwara State, whose sojourn attracted more stunted growth, unproductive ventures and large scale fraud to the good people of the State. "Shonga farm was an initiative of Dr. Saraki which repatriated Zimbabwean white farmers here, who were hitherto sent away from their former settlement at the expense of the original land owners. As we speak, young, energetic and promising farmers who knew nothing than planting of rice are currently in Ilorin riding Okada after they were forcefully ejected from their natural homes and places of usefulness. "That the Shonga farm venture is a fraud is an understatement because until now no traces of the farm produce can be found in our local market. Last time we had a trace of the dairy farm -everyone who consumed it ran uncontrollable stool. "We have seen the rice that came out of Lagos/Kebbi joint venture called LAKE rice, we have seen Coscharis rice venture in Anambra and Abakaliki rice from Ebonyi among other credible and profitable ventures. "If a man has so much defrauded a state by using state assets to secure bank facility for ejected white farmers from other places in Africa at the expense of young, energetic and promising farmers and he now profess to seek to represent such youths; he must be living in the utopian world. "We will ask him too, what has become of the the Ilorin airport cargo terminal which he so much hyped as a means of lifting agricultural produce from the state?" Bolarinwa said the new bid of Dr. Saraki will rather be an exposee that will bring out, rot perpetuated and coordinated by Dr. Saraki's rule in our dear state than the exploits he seeks through the unreleastic and wild dream of becoming Nigerian President. "Every sector in Kwara State today is laying flat -education is under threat with massive infrastructural deficits and lack of motivation for teachers. There is no policy on rural integration, not to talk of accessible roads. There is a total neglect and lack of capacity for urban renewal. Life expectancy has reduced and our people wallowing in untold hardship occasioned by inhuman tax regime. "Those are the legacies of Dr. Saraki's eight year rule in Kwara State and carried to the next level by his godson, Alhaji Abdulfatah Ahmed, whose government is running on "legacy continues". "These are some of the profound legacies of Dr. Saraki in Kwara State and he feels Nigerians will need a taste of it, even at the national level. God forbid!" Bolarinwa asserted.